England's performance against New Zealand suggested the team are over their slump and can approach next year's World Cup in Japan with renewed confidence." England may have lost to New Zealand but their performance in pushing the world champions all the way has sparked optimism about their chances heading into next year's World Cup. A convincing win over Japan this weekend will be expected after Eddie Jones' side produced an excellent display in their agonising 16-15 defeat at Twickenham. The All Blacks were in trouble early on last week with England opening up a 15-0 lead after tries from the returning Chris Ashton and Dylan Hartley. New Zealand fought their way back to within five points at half-time and edged in front during the second half but England were denied a probable victory when Sam Underhill's late try was ruled out for an offside by Courtney Lawes. It was a significant step up on England's performance against South Africa despite beating the Springboks 12-11. Luck was on their side that day but the intensity and tempo to their game, especially in the first half, against New Zealand was extremely encouraging. It suggested England are over their slump and can approach next year's World Cup in Japan with renewed confidence. As expected, Jones has made sweeping alterations to his team with 11 changes from the side pipped by the All Blacks. Winger Joe Cokanasiga makes his debut while George Ford takes over the captaincy after replacing Owen Farrell at fly-half. Number eight Zach Mercer makes his first start for England while scrum-half Danny Care is recalled to the side for the first time since March. Jones steered Japan to their most famous victory after their stunning World Cup win over South Africa in 2015. The Brave Blossoms' sensational 34-32 win was arguably the biggest upset in the sport's history and undoubtedly Japan's finest hour. 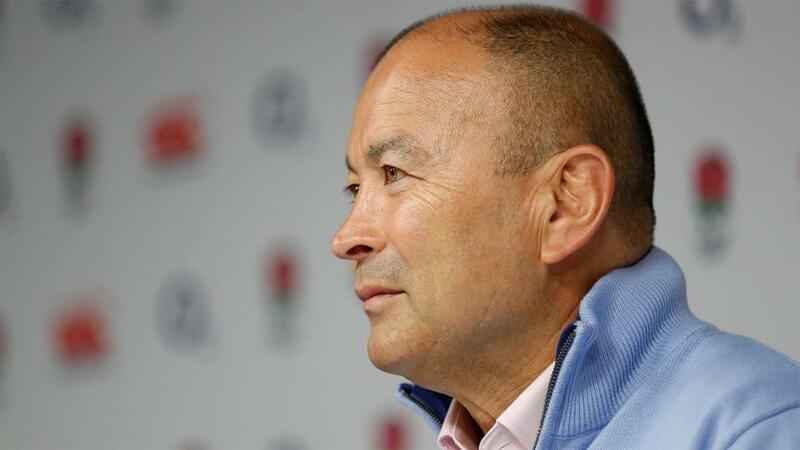 But Jones is not going to go easy on his former team and has warned them to pray ahead of the England game. Japan's last game saw them beaten 69-31 against the All Blacks in Tokyo with the hosts managing to score five tries during an entertaining match. Their results over the last year have been mixed but they did secure a notable 23-23 draw in France 12 months ago when Jamie Joseph's side were unlucky not to come away with the win. England have only played Japan once before and it came all the way back in 1987. It was a one-sided victory with England romping to a 60-7 win. The fact they have not met since then could make this slightly more challenging than might be expected simply because of their lack of familiarity. Nevertheless, nothing less than an emphatic victory will be seen as satisfactory for the hosts. The handicap mark is set at 32 points and this might be a tough ask for a much-changed England side. The hosts should win comfortably enough but with so many new players involved there is no guarantee of a fast start and there could be disjointed moments at Twickenham. England should pull away ultimately and there could be value in backing them to win by 21 to 30 points at 10/3.